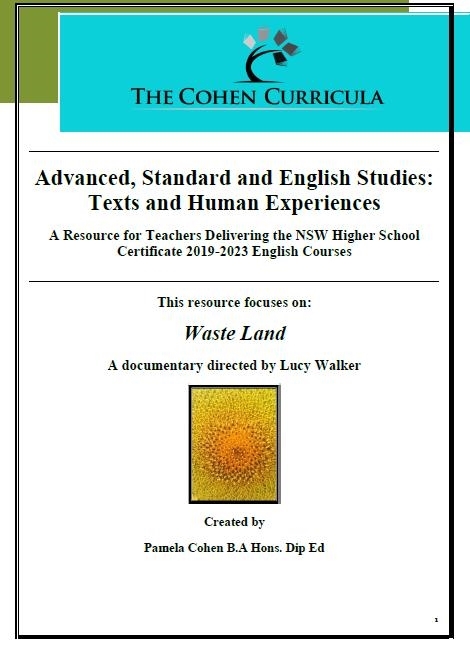 The Cohen Curricula Teacher Resource for the new common module 'Texts and Human Experiences' focuses on the documentary, Waste Land (2010)directed by Lucy Walker. The resource provides you with a complete teaching program, workshops and worksheets. 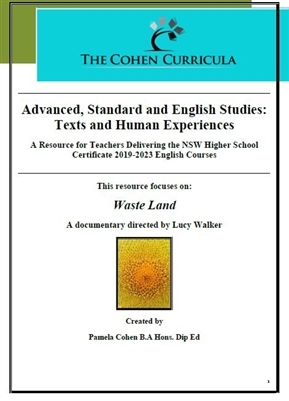 The resource contains hyperlinks to the syllabus outcomes and rubrics. All workshops and worksheets, including a detailed sequence study of documentary and documentary techniques, audience, purpose, context, themes, issues, ideas and values are provided. Everything you need to teach and assist your students to write detailed essays and analysis.